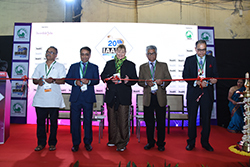 The Indian Association of Amusement Parks and Industries (IAAPI) is geared up to unveil the 20th IAAPI AMUSEMENT EXPO 2020 from 26 - 28 February 2020 at Hall 2, Bombay Exhibition Centre, NESCO Compound, Goregaon East, Mumbai, INDIA. 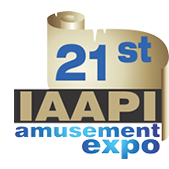 IAAPI Amusement Expo brings a comprehensive range of products and services offered by the industry under one roof. It provides an opportunity to interact with the end users. The venue offers an ideal business environment to explore new avenues of growth. Apart from business transactions, the show also provides an exposure to international trends through its many foreign participants. WHY PARTICIPATE AT IAAPI AMUSEMENT EXPO?